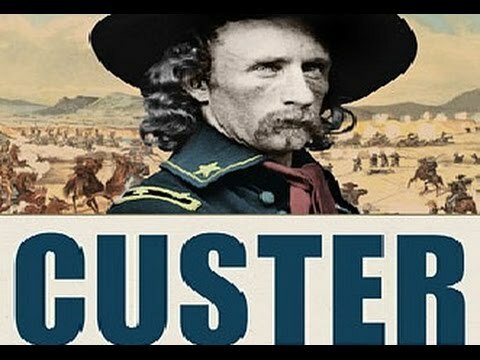 George Custer was an American military commander and brevet general who in 1876 led 210 men into battle at Little Bighorn against Native Americans. Custer and his men were killed. 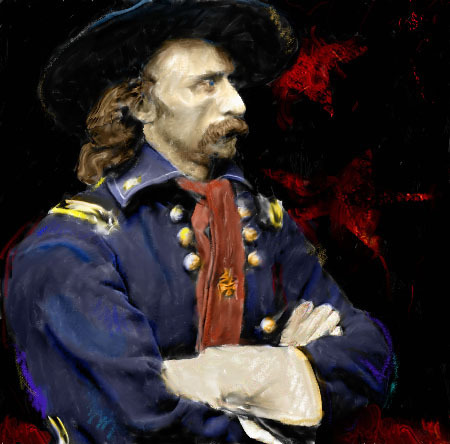 George Custer was born on December 5, 1839, in New Rumley, Ohio. He served in the Civil War with General George B. McClellan. He became a brevet brigadier general, and his pursuit of General Robert E. Lee helped to bring an end to the Civil War. In September 1868, he joined the 7th Cavalry in Kansas, and on June 25, 1876, he led 210 men into battle at Little Bighorn against Lakota and Cheyenne warriors. Custer and all of his men were killed in the battle. 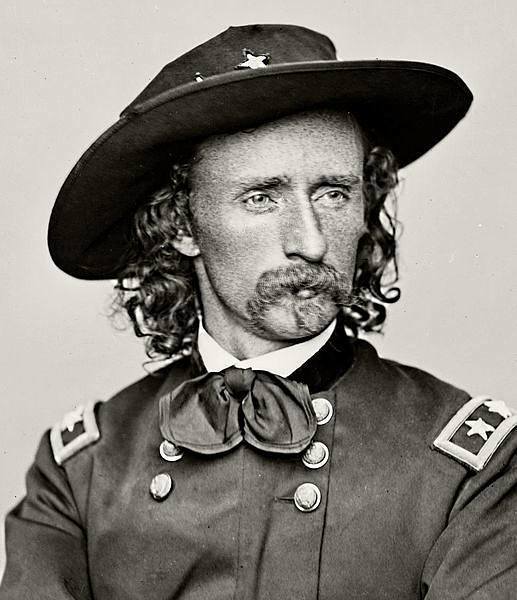 An American Army general who would famously lose his life at the hands of Native American warriors at the Battle of Little Bighorn, George Armstrong Custer was born December 5, 1839, in New Rumley, Ohio. A good part of his childhood was spent in Monroe, Michigan, where he lived with his half-sister. 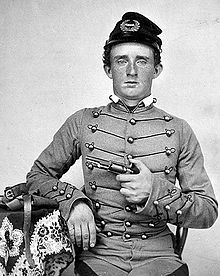 But despite the poverty in which he was raised, a determined Custer was convinced he could make a better life for himself, and after he graduated from McNeely Normal School in 1856, he set his sights on West Point. While he lacked the qualifications many of the other candidates had, his confidence won over his local congressman, and with his support, Custer enrolled at the school in 1857. But West Point was not a perfect fit. Despite Custer's longing to climb to a higher rank in life, an element of rebellion ran through the young officer. He buckled under authority, and his infractions led him to finish famously last in his class upon graduating in June 1861. Then, just a few days after graduation, he failed as an officer of the guard to prevent a fight between two cadets. Custer was nearly court-martialed as a result but was saved due to the outbreak of the Civil War and the desperate need for officers. 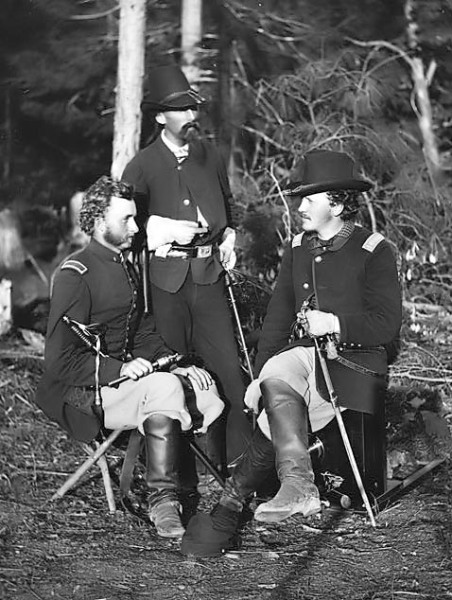 Custer's brilliance at directing cavalry actions at the Battle of Bull Run, his first battle, earned him recognition. The press gushed over the young brevet general who wore bright red neckties onto the battlefield. The New York Tribune wrote: "Future writers of fiction will find in Brigadier General Custer most of the qualities that go to make up a first-class hero." Custer was soon known as the"Boy General," and his daring and bravery led him to stay in the thick of the fight until the war concluded. Its end, too, was owed in part to Custer, whose cavalry units were crucial in standing down Confederate General Robert E. Lee and forcing him to surrender at Appomattox, on April 9, 1865. As a reward for his heroism, Lieutenant General Philip Sheridan, a huge Custer supporter, gave the young military hero the table used to sign the war's peace terms. With it, he wrote a note to Custer's wife, Libbie, in praise of her husband. "Permit me to say, Madam," he wrote, "that there is scarcely an individual in our service who has contributed more to bring about this desirable result than your gallant husband." In the years following the Civil War, Custer continued to distinguish himself in the eyes of the military and public, leading the 7th Cavalry Regiment against Native Americans. As the still-young country looked to settle the West, it needed to defeat the Lakota Sioux and Cheyenne that dominated parts of the frontier. In 1876, the United States ordered an attack on the Lakota that involved three separate forces, one of which was led by Custer. But Custer and his men advanced more quickly than the other two units, and in a fatal display of brazen confidence, on June 25 he ordered his 210 men to attack a large Indian village. On the other side of the attack was Sitting Bull, the revered Lakota chief who had originally wanted peace at Little Bighorn. Custer, however, was determined to fight. His biggest mistake came in ordering his men to divide into three units. 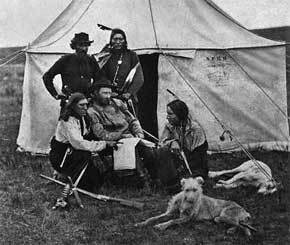 Against the onrush of thousands of Lakota, Arapaho and Cheyenne warriors, Custer and his men were surrounded and killed. The defeat was a stinging embarrassment to the U.S. government, which redoubled its efforts and quickly and cruelly defeated the Lakota. For his role, Custer became the stuff of legend, though certainly not the kind he would have wished for. During her final years, Custer's wife wrote accounts of her husband's life that cast him in a heroic light. But no story could overcome the debacle that became known as Custer's Last Stand.